But I can attest from personal experience that not long ago our presidential debates were fragile. During the 1988 presidential campaign I had a close-up view of the near-cancellation and 11th-hour rescue of a debate that turned out to be crucial to the outcome of the election. The presidential debate tradition as we know it is newer, and less established, than is commonly understood. Following the Nixon-Kennedy face-offs of 1960 (the first to be televised), presidential debates vanished for the next three presidential elections. And it wasn’t until 1987 that the Commission on Presidential Debates was created. Formed jointly by the Democratic and Republican parties to ensure that debates were part of every general election, the commission’s stated mission was to provide voters more opportunities to hear directly from the candidates on the issues of the day. 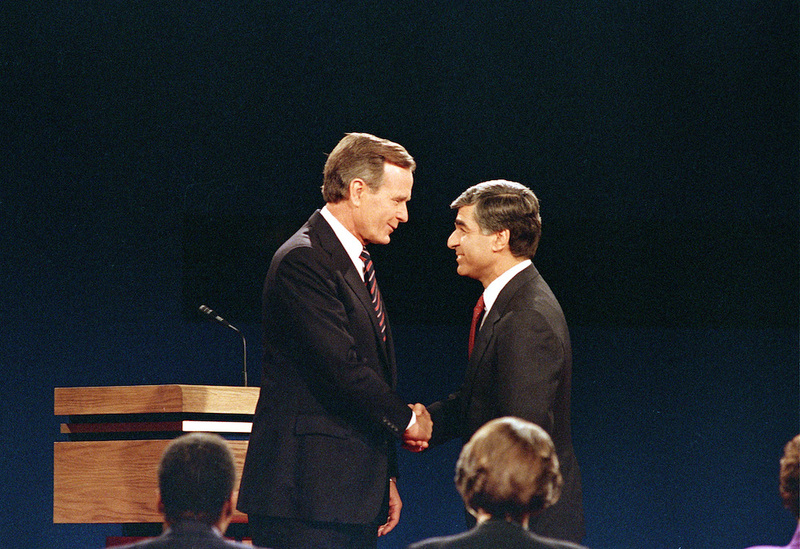 The 1988 presidential election was the first in which the commission assumed responsibility for the debates, previously run by the League of Women Voters. The League was less than thrilled with the change in sponsorship. Created in 1920 when women won the right to vote, the League is non-partisan and does not endorse candidates but encourages members to be involved in advocacy and politics. Probably at least in part to diffuse tensions, the commission invited the League to sponsor the second debate between Republican Vice President George H. W. Bush and Democratic Massachusetts Governor Michael Dukakis. The first of that presidential election’s two debates had been held in late September at Wake Forest University in North Carolina. The League-sponsored debate was slated for the Shrine Auditorium in Los Angeles. But ten days before the debate, scheduled for Oct. 13, the event suddenly came into doubt. The campaigns were insisting on choosing the moderator and the questioners, as well as determining the seating arrangements and the camera positions and hall access for the press, among other things. In addition, the format put forward by the campaigns permitted only short answers to questions and brief rebuttals before another question was asked, a marked departure from League format, which allowed more opportunity for follow-up questioning. The presidential debate tradition as we know it is newer, and less established, than is commonly understood. Following the Nixon-Kennedy face-offs of 1960 (the first to be televised), presidential debates vanished for the next three presidential elections. At the time, I was president of the Howard Jarvis Taxpayers Association in Los Angeles; we also had a Foundation arm dedicated to educating the public about economic issues. 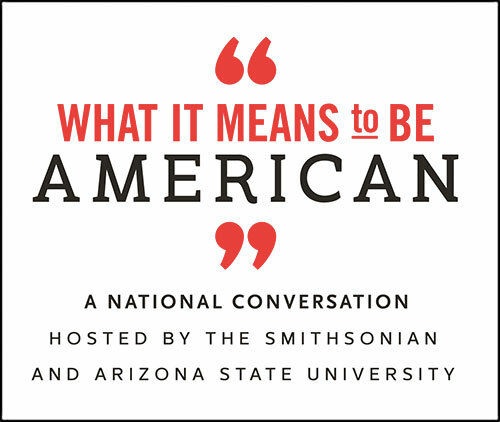 I felt helping sponsor a presidential debate would satisfy the Foundation’s mission and not incidentally offer some high-profile, national recognition for our organization. The commission put the total debate cost at about $750,000. We were one of a number of groups to pitch in—others included the Los Angeles Times and ARCO Corporation (now part of the oil giant BP). With new and different funding in place, the focus shifted to finding a new venue. The new location—UCLA’s basketball arena, Pauley Pavilion—took ‘round-the-clock prepping to ensure it was “camera ready” by debate time. (The exact date also wasn’t certain, for reasons that might be of interest today given Mr. Trump’s concern about sporting events; one rule that year was that if the Oct. 13 date coincided with the seventh game of the American League baseball playoffs, the debate would have had to be moved back one day, according to the New York Times). Things were moving so fast that, along with our organization’s General Counsel, Trevor Grimm, I drove over to UCLA to personally hand the donation check of $100,013 to the commission’s Ms. Brown. (The final two numerals were in recognition of the organization’s support for Proposition 13). As we delivered the check, we had to walk carefully over and around cables and equipment as crews worked feverishly to transform the arena. The debate came off—just barely—and proved to be a decisive moment in a bitter, historic campaign. The signature exchange of the night came right at the top when moderator Bernard Shaw of CNN asked Gov. Dukakis if he would support the death penalty if his wife were raped and murdered. Dukakis’ dispassionate response cost him dearly according to political analysts. (A transcript is here.) It fed into perceptions of Dukakis as a technocrat, and into the Bush campaign’s portrayal of him as soft on crime (a portrayal which included the infamous Willie Horton “revolving door” ad). Our donation helped make the debate possible, but it didn’t buy us much beyond a few tickets in the middle of the audience, fairly close to the stage. The Howard Jarvis Taxpayers Foundation was included in the program, but when the head of the national Democratic Party spoke to the audience beforehand and thanked the organizations that came to the rescue of the Commission on Presidential Debates, he left us out! In hindsight, I console myself knowing that we had both a role in and a ringside seat to a crucial moment in modern presidential debate history. Joel Fox has been involved in California policy and politics for more than three decades. He currently co-publishes and edits Fox & Hounds Daily, a website dedicated to California business and politics, teaches public policy at Pepperdine University, and has published a number of mystery novels. *Photo by Lennox McLendon/Associated Press.